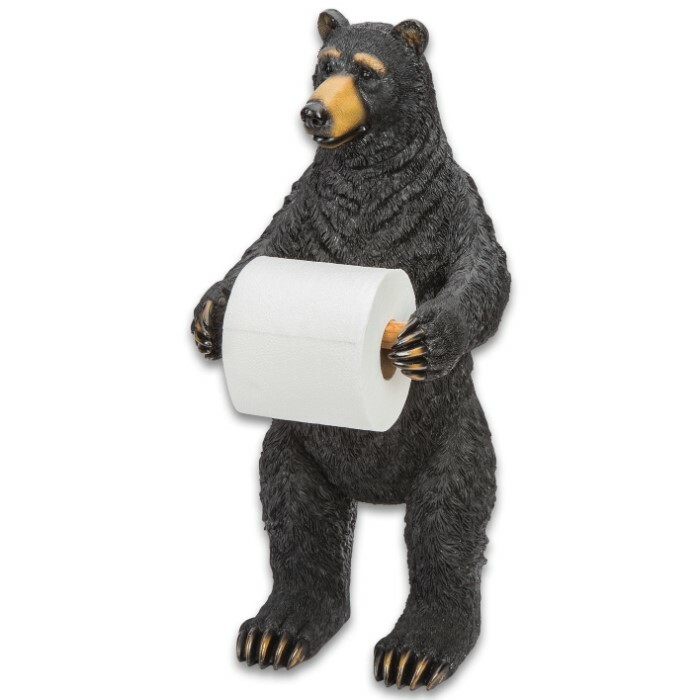 Bear Standing Toilet Paper Holder | BUDK.com - Knives & Swords At The Lowest Prices! 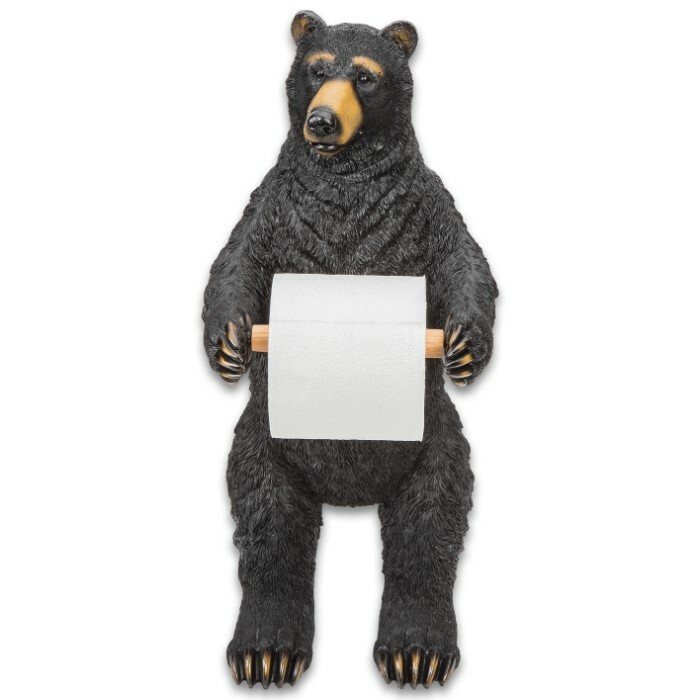 Complete your bathroom decor with this hand painted polyresin toilet paper holder. 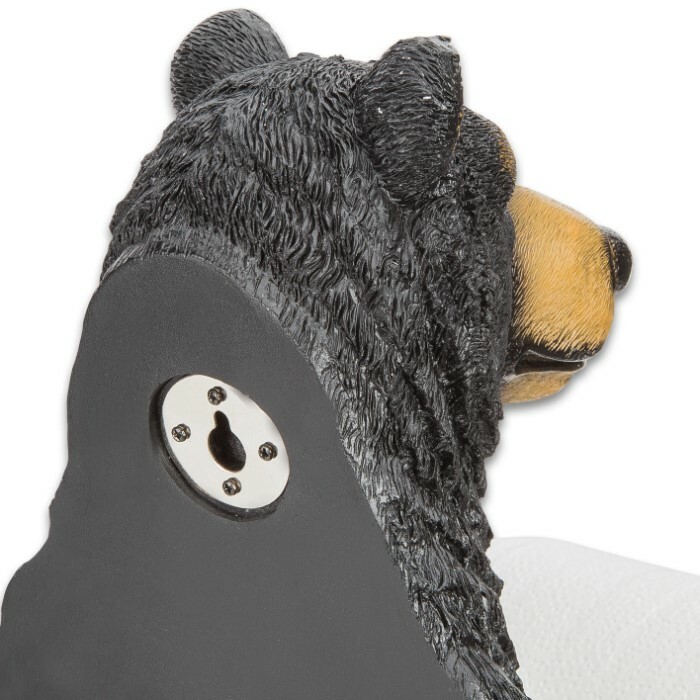 This there-when-you-need-him black bear stands approximately 21 1/2" tall. 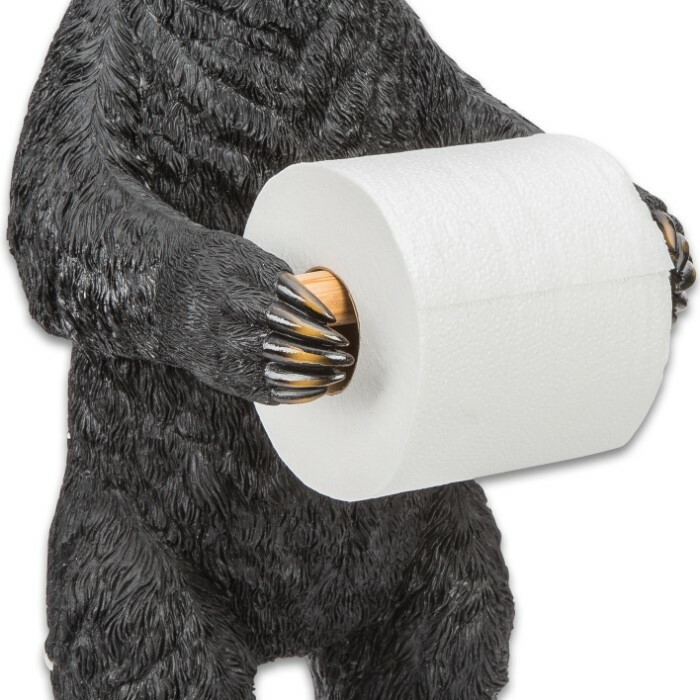 It holds a standard roll of toilet paper. 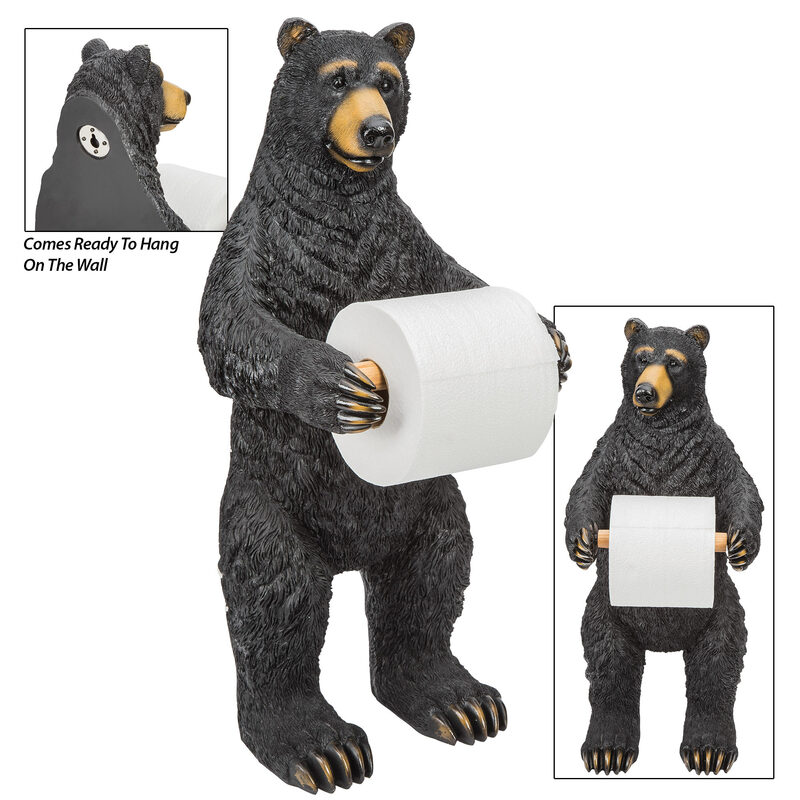 This makes a fun addition to a cabin or lodge bathroom.